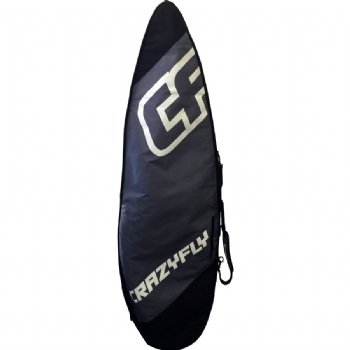 Crazyfly Single Surf Board Travel Bag 6'2"
The CrazyFly Surf Bag features a simple, smart design to keep your board safe whether traveling across town to your favorite local kite spot or heading off on your next overseas adventure. 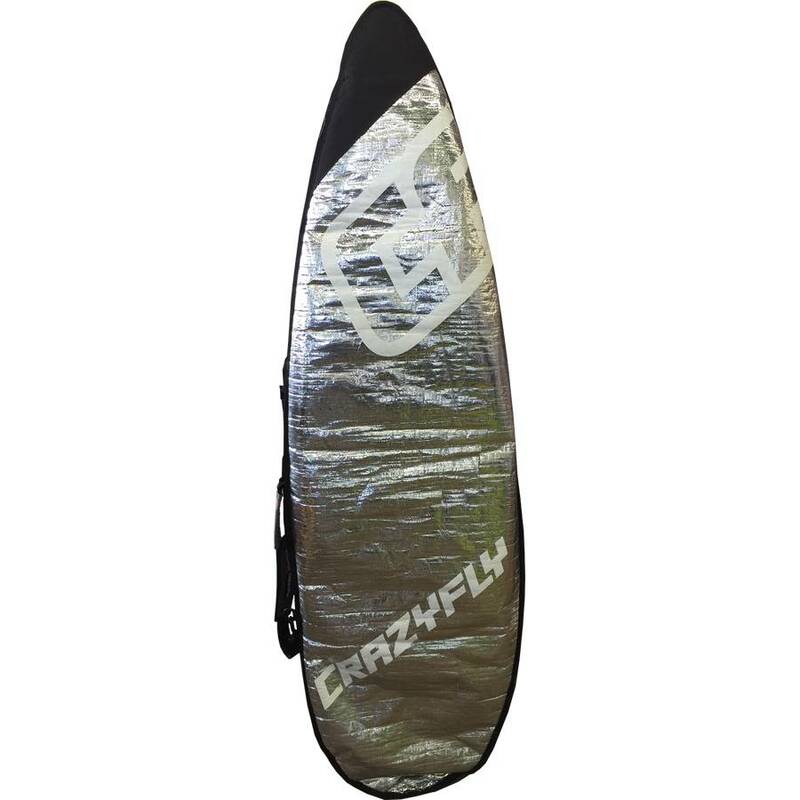 Reflective energy shield on one side of the bag keeps your board temperature down to help prevent delamination, and the grey canvas material on the other side keeps the bag looking clean. 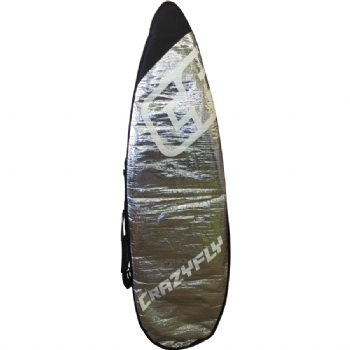 Just the right amount of padding protects your board without being too bulky.